One of my favorite places in the world is Fort Loudoun State Historic Area near the town of Vonore in East Tennessee. Fort Loudoun was originally built in 1756, during the French and Indian War, as a bulwark against the encroaching French Army from Fort Toulouse near present-day Montgomery, Alabama. The fortification was in the middle of the Cherokee nation, and so had the added benefit of protecting the Cherokee lands while the warriors joined the British Army in raids and expeditions into mostly French-held Pennsylvania. 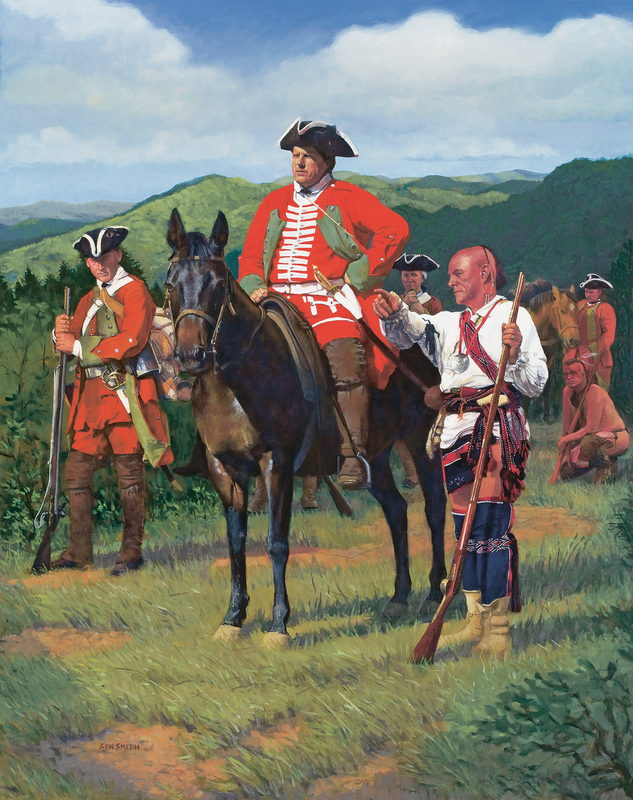 In 2006, as part of the 250th anniversary of the founding of Fort Loudoun, the Fort Loudoun Association commissioned me to do a painting commemorating each year in the life of the Fort. The paintings would be reproduced as collector’s prints and would be available at each anniversary year. Here you see the culmination of that event.